Ashwin was Rail Passenger Director at Passenger Focus from 2007 to 2011. In that capacity, he served as deputy to the Chief Executive and led the organisation’s work to improve rail services for passengers. 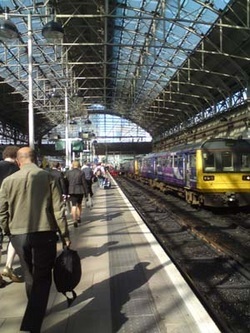 He commissioned research and data analysis to identify passenger needs and priorities, developed relationships with train companies, regulators and government, and used research to secure improvements for passengers. He acted as the organisation’s chief media spokesperson on rail issues – regularly giving the passenger perspective on national TV news, e.g. fare rises – and delivered a rail complaints appeal service for passengers. Key organisational successes during his time in the role include persuading the industry to invest in improved information systems so that passengers will be better informed at times of delay, ensuring the regulator is using its consumer protection powers to investigate confusing fares, persuading the government to put improved passenger-friendly terms into new rail franchises, and securing rail industry funding for improved support for disabled passengers. He has significant expertise in the economics of the rail industry, the relationship between passenger satisfaction and service performance, and performance management of rail services.